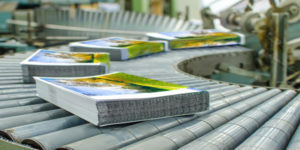 Our book printing uk services division are equipped to produce both hardback and softback books. We have state of the art digital printing equipment which is complimented by our fully equipped bindery. Complete range of Book Printing Services from short run digital to long run litho. We believe in making our customers feel comfortable with the whole book manufacturing process. This is done by ensuring that their production runs smoothly and painlessly. Every order we produce is managed by a dedicated customer services team, and internally by a production controller. We work with our clients advising them along the way and ensuring they fully understand the book printing services and technical aspects. Please call 01525 621742 or e-mail for further for any assistance. We print books in black and white or colour and formats portrait, square or landscape. Papers range we stock offset, white and cream bookwove, and coated silk. Covers can be printed single or double sided and have gloss or matt lamination. Also catering for embossing and spot UV. 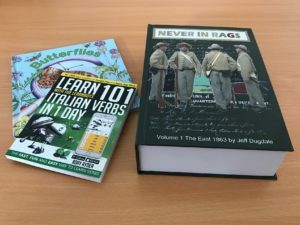 Choosing the right book printing uk options? Ensuring you have a budget in mind is key. Consider how many books you are hoping to sell. Don’t over order as this is a false economy. Bear in mind the storage space you have available bearing in mind that 1000 copies of a standard sized paperback could equate to 26 boxes sitting in your home, or warehouse. We are here to assist along the way. Choosing the right technology for your print run, and advising on the right paper stocks. Our customer services team are experts who are happy to advise and assist. We also have an excellent sample book we created with you in mind. The book contains paper samples of our house stocks. This usually relates to a single copy production printed digitally. We have a minimum order level of 10 copies on softback and 25 copies on hardback. Our average order quantity is 100 copies. Self-publishing authors find short run books are the best route. This is because they do not need to be kept in stock. Reducing storage costs and space. The cost per-unit of POD (one off) is typically greater than with a larger print run. Books produced this way tend to be more expensive. Book printing to demand is an ideal way of bringing an out of print title back into print. We are currently setting up a unit for print2demand books. Please call 01525 621742 or e-mail for further details. The same applies as it does with POD. Books printed digitally up to circa 750 copies. After which it becomes more economic to print the books offset litho. We offer both services so can advise on the best route. Print2Demand short run book printers who offer the same range of paper stocks and finishes that you would expect from offset litho printing. Traditional book printing considered by some to be the most superior in terms of quality. Digital technology has moved on dramatically over the past 10 years. The quality difference between the two is minimal these days. Set up involved with offset litho printing. Firstly you need to make plates to transfer the inked image onto the paper. 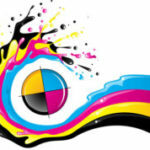 Digital printing takes a print ready PDF. Sent straight to the press after going through an imposition process. The printing area on an offset litho press is much bigger. Litho presses run much faster than digital printing presses. You can print more pages on the paper at a greater speed which means that the unit cost will be cheaper. We offer offset litho book printing for both black and white and colour hardbacks and paperbacks. For Self Publishing click here.